A descending impulse in wave A continues with the third wave being formed inside the wave. Most likely, the price will continue moving downwards during the next several days. The target for the bears is the level of 0.8650. 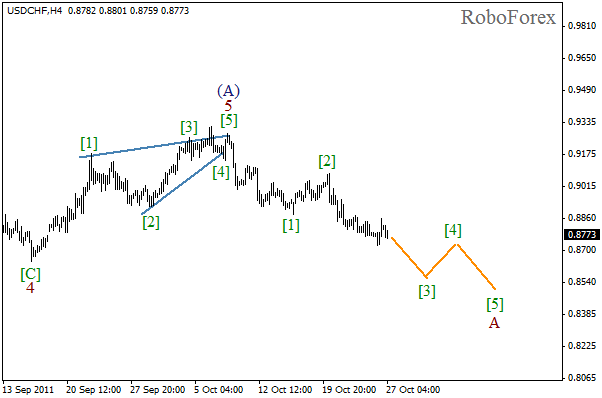 As we expected, wave (2) has been completed in the form of flat pattern. 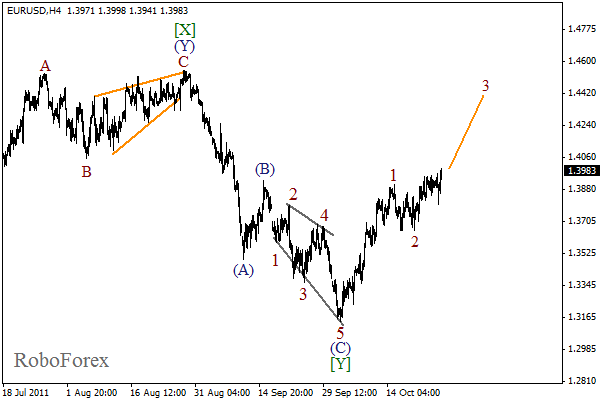 Earlier, the price formed a bearish wedge pattern in wave (1). At the moment the price is forming initial descending waves inside the third wave. There is a possibility that the market may reach a new minimum during the day. The market reached a new local maximum several hours ago, thus indicating the start of the rising movement inside the third wave. Most likely, the price will continue growing in wave 3 on Thursday and Friday. The target for the bulls is at the level of 1.4350. 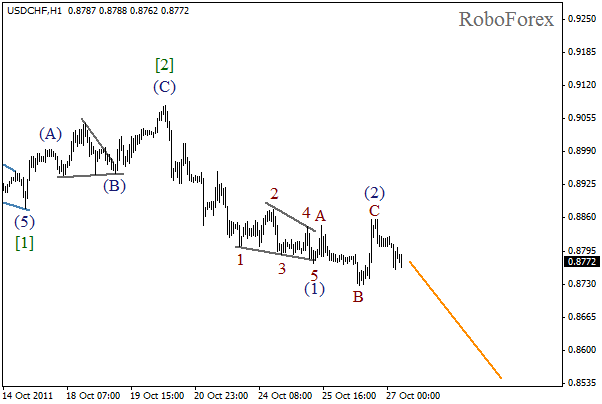 Wave  has been completed in the form of flat pattern, as we expected. The formation of an impulse inside wave (C) was so fast, that it could be easily regarded as a reverse. 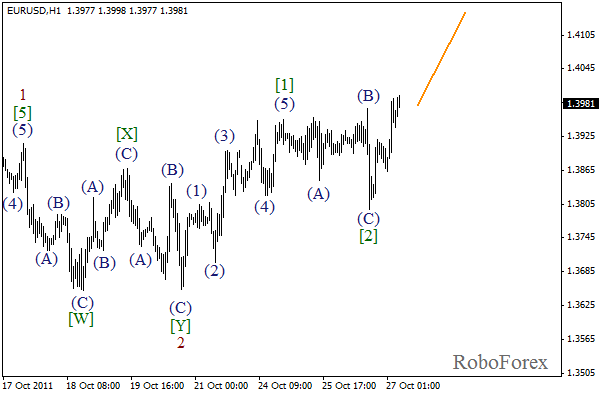 However, the bulls had everything under control, and Euro has recovered quickly. During the day we can expect the price to continue growing.